The 90-minute Pilot Movie that lauched it all!!!!!!! 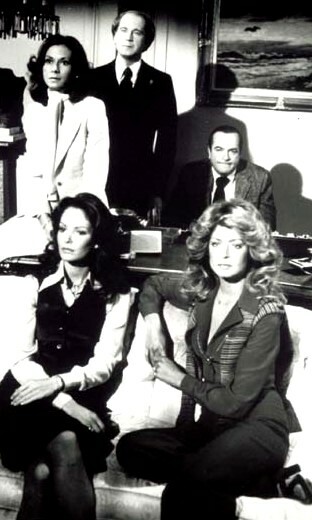 On March 21, 1976 a t.v. movie-of-the-week premiered on ABC and this movie that almost didn't get made ended up getting over a 50% share...meaning that over half the people with television sets were watching it...and shares like that were usually only reserved for big events like the Superbowl or presidential elections. So ABC ran it again a few weeks later and it did just as well. This movie was about three beautiful young women that to the Los Angeles Police Academy and were assigned very "hazardous duties" such as paperwork, and being crossing guards and meter maids. An ex-detective named Charles "Charlie" Townsend offered the ladies positions as private detectives at his agency Townsend & Associates, so the three ladies accepted and began their exciting new careers. 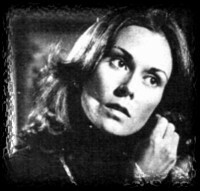 Starring was Kate Jackson as Sabrina Duncan, the Smart Angel. Also starring was Farrah Fawcett-Majors as the Athletic Angel Jill Munroe, and the Sensitive Angel Kelly Garrett played by Jaclyn Smith. David Doyle appeared as Charlie's lieutenant John Bosley, as did David Ogden-Stiers as Charlie's personal attorney Scott Woodville. The character of Woodville was axed when the movie was made into a weekly series. Kate Jackson played a huge role in the creation of the idea if Charlie's Angels and the series was created with her in mind as the lead. She originally wanted to play the role of Kelly Garrett but once filming started she decided she liked the part of Sabrina better...this in turn caused Jaclyn Smith (who was almost replaced because the heads at ABC didnt like her) to be the star of the 90-minute television movie. Ironically, she was also the only Angel to appear in every episode.